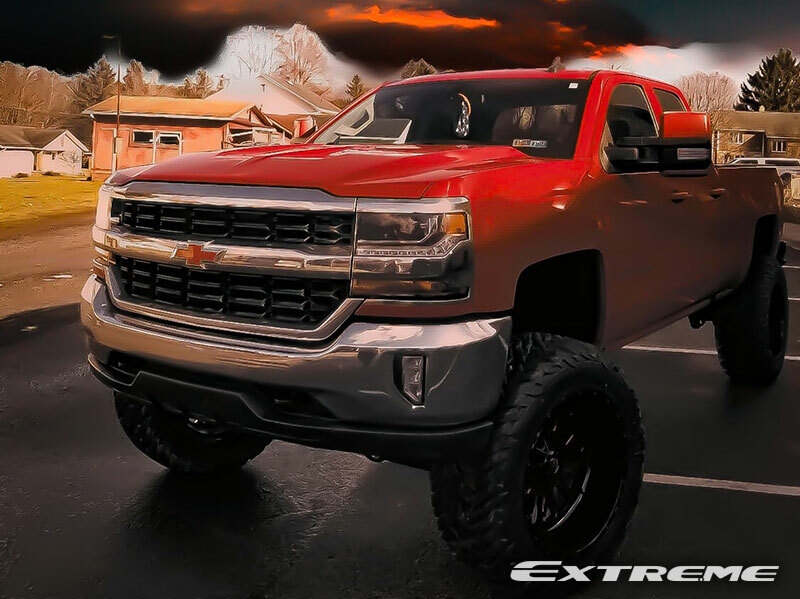 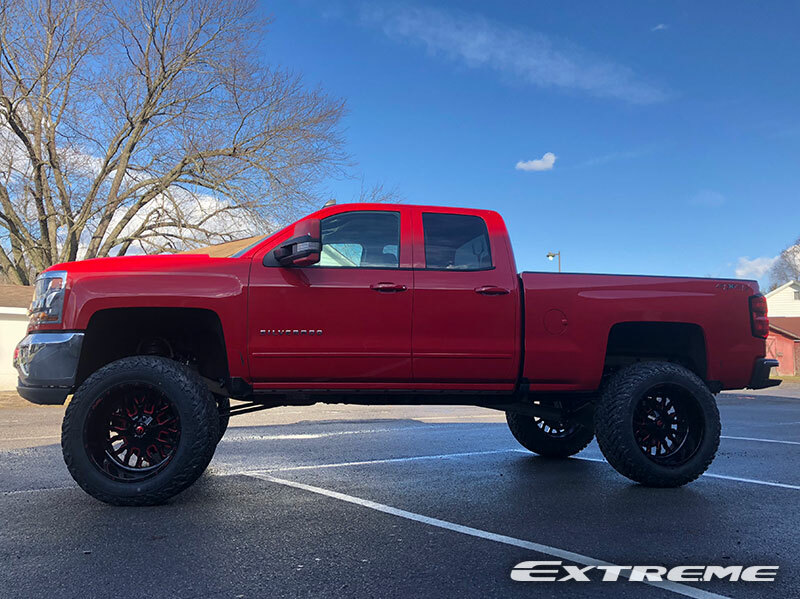 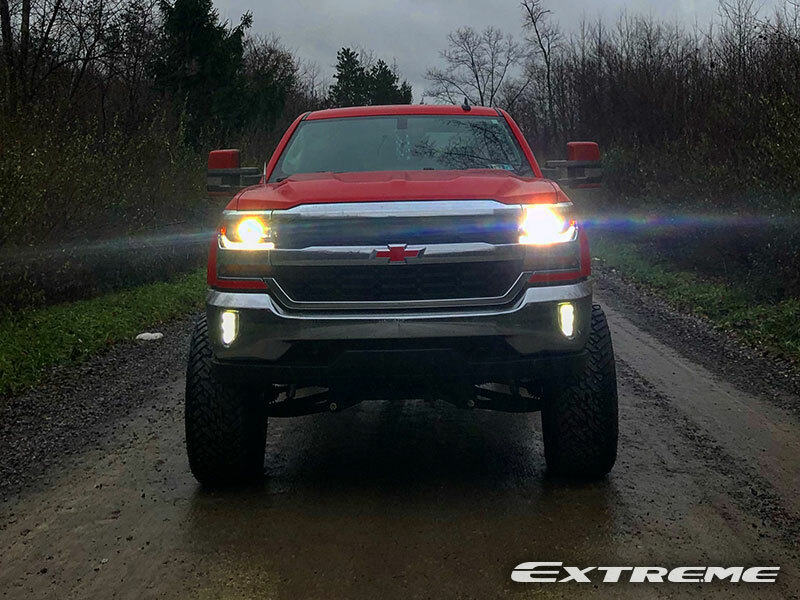 Ronniecary1's 2018 Chevrolet Silverado 1500 LT Crew Cab Pickup 4WD has a McGaughys Suspension Lift Kit installed with 22x12 Fuel Offroad Stroke D612 Red wheels that have a -44 offset. 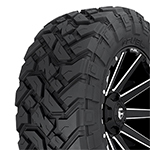 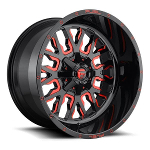 The wheels are wrapped with Fuel Mud Gripper MT 37x13.5R22 tires that have a 37 inch overall diameter. 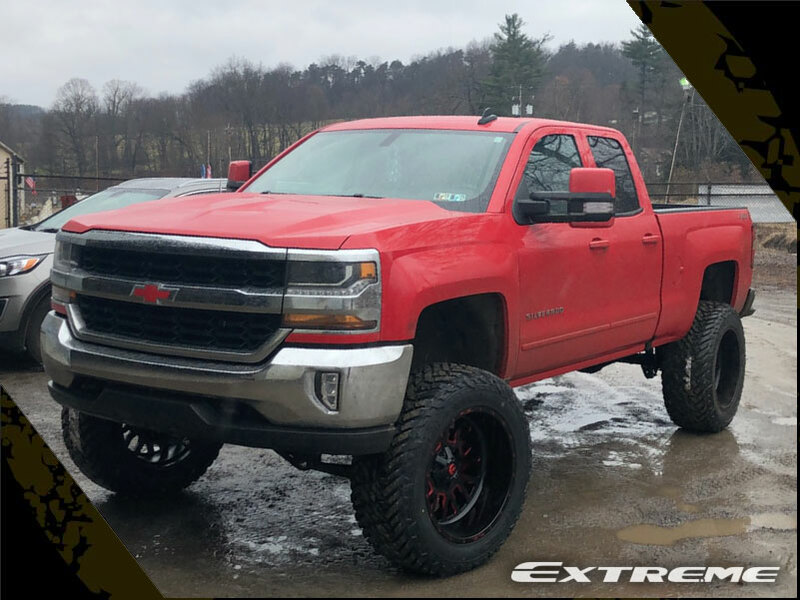 There was minor trimming inside wheel well and lower valence done to this Chevrolet Silverado 1500.